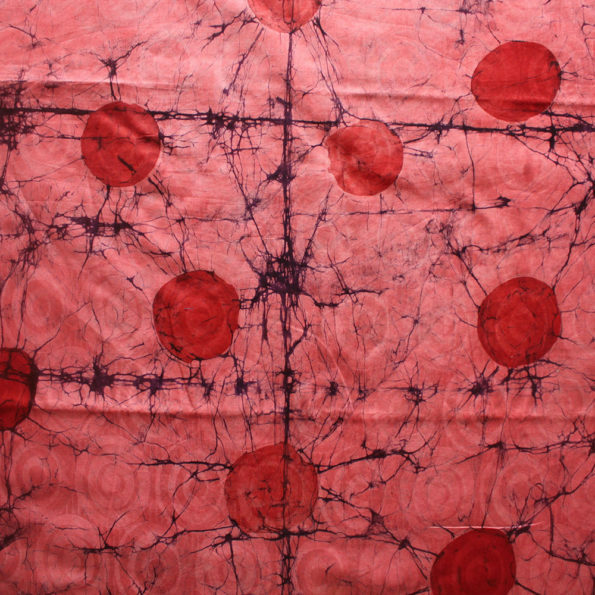 A modern batik fabric from Nigeria. 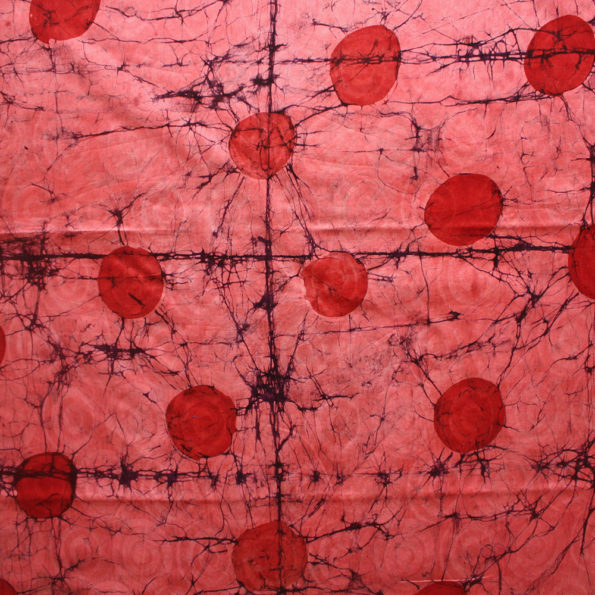 A simple yet bold design consisting of red circles within a blue and purple marble batik backdrop. The fabric is 48 inches in width and you can choose between two lengths. Either a 2.4 yard (2.2 metre) length or a 4.8 yard (4.4 metre) length. 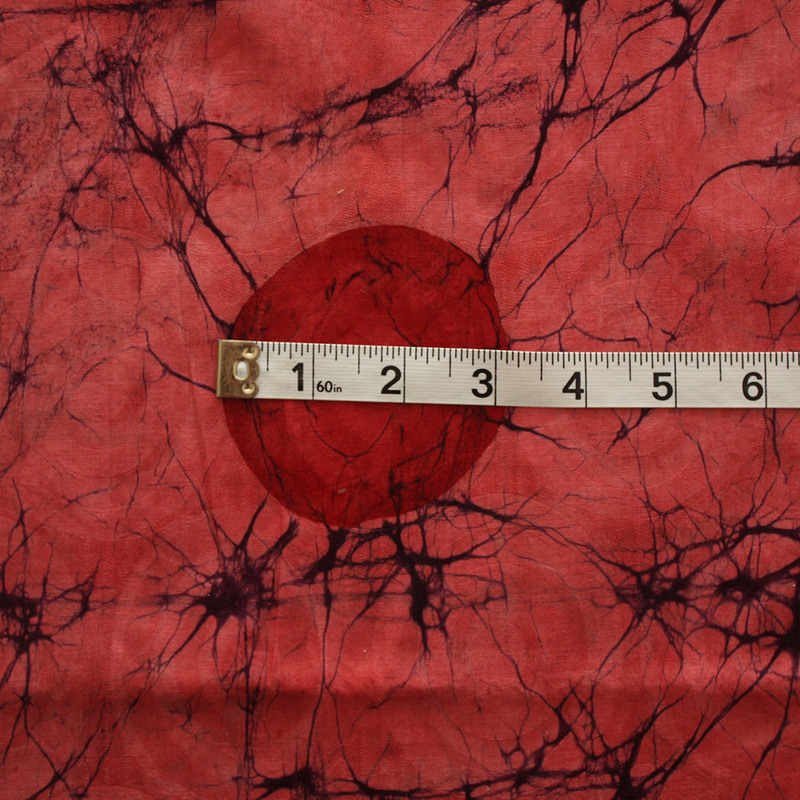 To give you an idea of the scale of the patterns, a tape measure is shown in the last image with units displayed in inches. 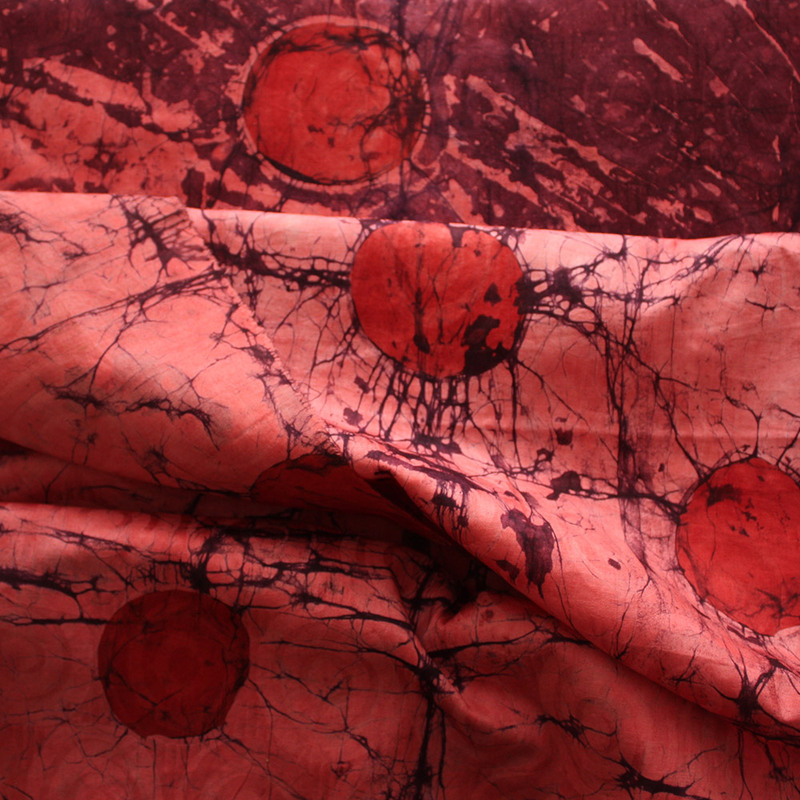 Also, if you have purchased this fabric before, it will not be exactly the same as the one shown. Due to the unpredictable and organic nature of the dyeing process of batik, the outcome often varies.